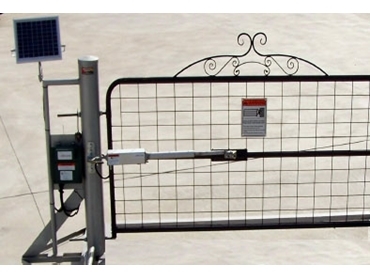 Gatemaster DIY automatic gate openers, available from Rural Fencing Supplies , are suitable for swing and sliding gates and for single or double models. These automatic gate openers come with extensive instruction booklet, so they shouldn’t cause any problem for the average handyman. They run on mains or solar electricity. Rural Fencing Supplies is a Western Australian owned and operated company. They offer the local market a broad range of quality fencing products.